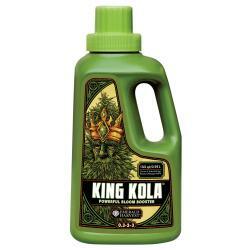 Get the most benefit from every flower in your garden with Emerald Harvest® King Kola®. 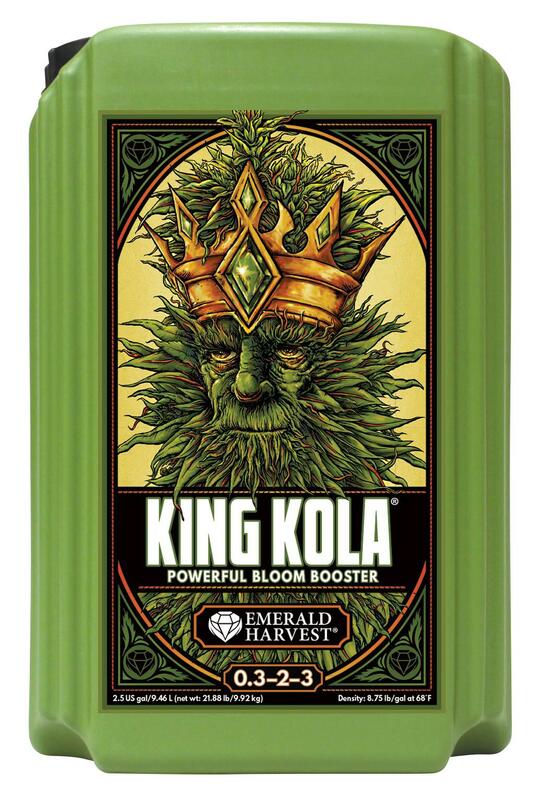 A powerful bloom booster designed to create bigger, denser blossoms, King Kola® provides the essential elements your crops need to burst forth in heavy buds and flowers. 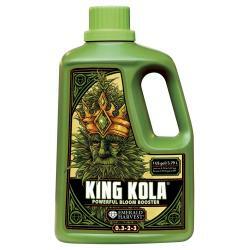 It's high in phosphorus and potassium, so using King Kola® helps drive budding faster, easier and better than using base nutrients alone. 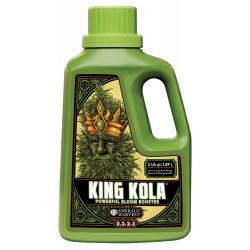 King Kola® also contains yield-boosting nitrogen derived from hemp seed flour, a nutrient-rich, all-natural source of numerous essential elements and complex metabolic compounds. 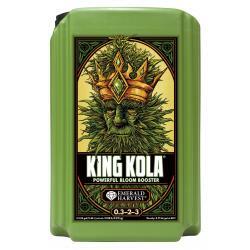 The inclusion of hemp seed flour in the King Kola® formulation is a first in the hydroponics industry. No other nutrient supplement on the market contains it. Not for sale in the following location(s): FL, NM, PA.